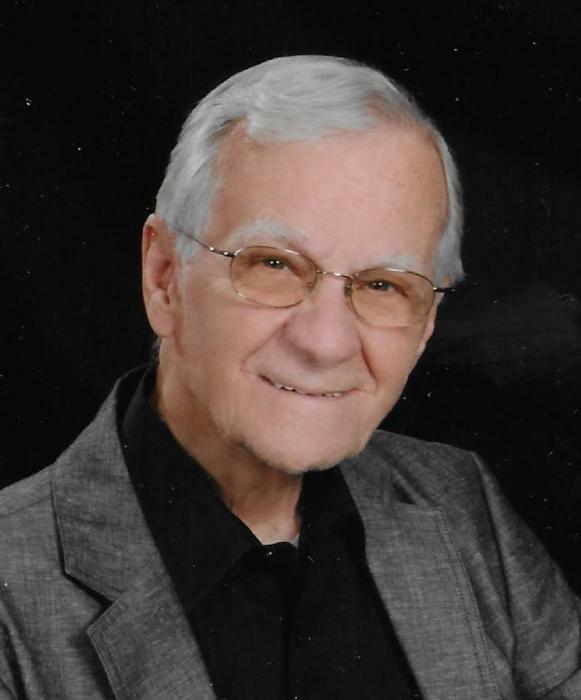 Lloyd Jacob Heibel left this life to be with his Lord and Savior on February 2, 2019 at the age of 87. He leaves his beloved wife of 10 years, Marilyn (Bersie Hagerup) Heibel, daughter Jody (Heibel) Linkfield, son George “Randy” and Jeanine (Porritt) Heibel, stepsons Bill Hagerup, and Jim and Cindy (Thorndill) Hagerup; grandchildren Nicole Linkfield, Dave and Jamie (Linkfield) Teppo, Jacob Heibel and Holly Mosley, Gabriel Heibel, Mitchell and Emily Hagerup, Andrea and Emily Gingerich, Cheney Hagerup, and Isabel Hagerup; sisters Theola Andrews, Marilyn Dewey, Joyce Meyerink, Shirley Thurkettle, Lorraine Olejniczak, Patricia Cooley, brother-in-law George Persons, sisters-in-law Linda Salhaney, Marilyn Heibel and Gwyn Bersie; five great grandchildren, and several nieces and nephews. Lloyd is preceded in death by his wife of 53 years, Eleanor Bendekgey Heibel, his brother Ken Heibel, and sister Carol Persons. Lloyd enlisted in the United States Navy at 17 and served on the USS Midway. His career as a machine design engineer began humbly as an apprentice and evolved over the years to CAD design – self-taught at age 70. He was a dedicated member of St. Nicholas Antiochian Orthodox Church and its Parish Council for many years and of Holy Trinity Greek Orthodox Church. Lloyd will be lovingly remembered for his enthusiastic and indomitable spirit, his “intensity” as a board and card game competitor, generous and compassionate heart, and the integrity by which he lived his faith. Visitation will be held at the Metcalf & Jonkhoff Funeral Home on Sunday, February 3 from 1-4 PM with a Trisagion Service at 3 PM. The funeral service will be held at 11 AM on Monday, February 4 at Holy Trinity Greek Orthodox Church, with visitation preceding the service at 10 AM. Interment will be at Graceland Memorial Park. In lieu of flowers, memorial contributions may be made to Holy Trinity Greek Orthodox Church.